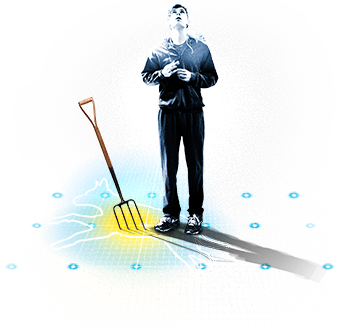 A Relaxed Performance of the National Theatre’s multi award-winning production of The Curious Incident of the Dog in the Night-Time will take place at the Piccadilly Theatre on Saturday 6 April at 2.30 pm, to coincide with World Autism Awareness Week. It follows the success of previous National Theatre Relaxed performances for The Curious Incident of the Dog in the Night-TIme including in the Cottesloe at the National Theatre (2012), on Broadway (2014), in the West End (2016) and on tour in Salford (2014), Southampton (2015), Birmingham (2017), Melbourne (2018) and Singapore (2018). Lighting and special effects will be adapted for the performance, such as removing strobes and flashing lights and reducing very loud noises; and audience movement and interaction will be welcome. Parts of the Piccadilly Theatre foyer will be available as a quiet space to relax for those who need to leave and re-enter the auditorium during the show. After the performance, the audience will be welcome to stay for a ‘Question and Answer’ session with the actors who will be in costume but out of character. There will be trained and welcoming staff around the theatre for the duration of the performance. A visual story and supporting video will be available to download from the website from early March. These materials were created in consultation with the Youth Patrons from the charity Ambitious About Autism.